Belinea: Belinea has been a brand of computer monitors manufactured by Maxdata that have been sold primarily in Europe. The name first appeared in 1991. Belinea also manufacture computer units and notebook computers. Maxdata, the German computer manufacturer filed for insolvency. 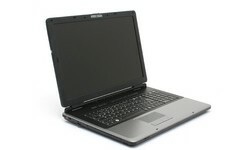 The brand Belinea has been acquired by Brunen IT, also a German laptop manufacturer.